2. The Apology or Vindication of Sir Cleave More, Bart. Upon the Suing Forth a Commission of Lunacy Against Joseph Edmonds, . 4. 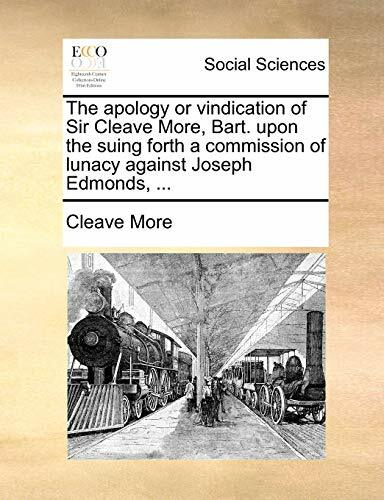 The Apology or Vindication of Sir Cleave More, Bart. Upon the Suing Forth a Commission of Lunacy Against Joseph Edmonds, .